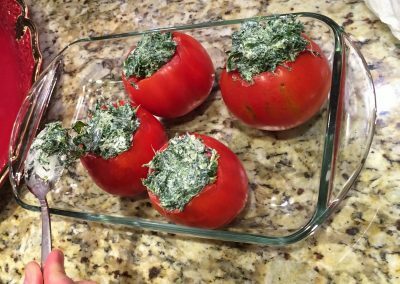 This recipe is so fun for Christmas since the colors are RED AND GREEN. It looks great on your plate with the neutral filet of beef and potatoes. 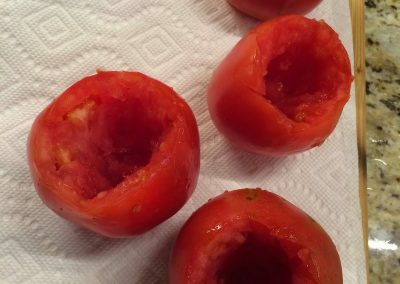 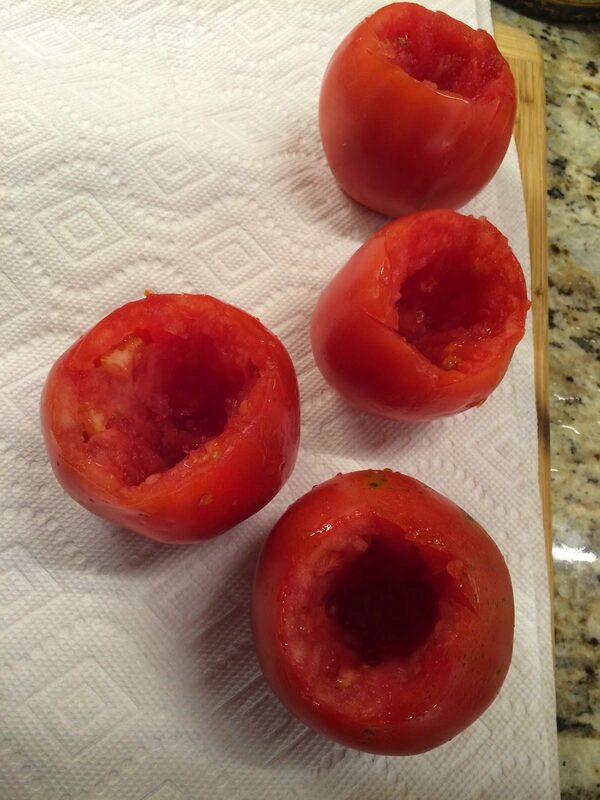 Scoop out the insides of the tomatoes and turn upside down to drain and dry. 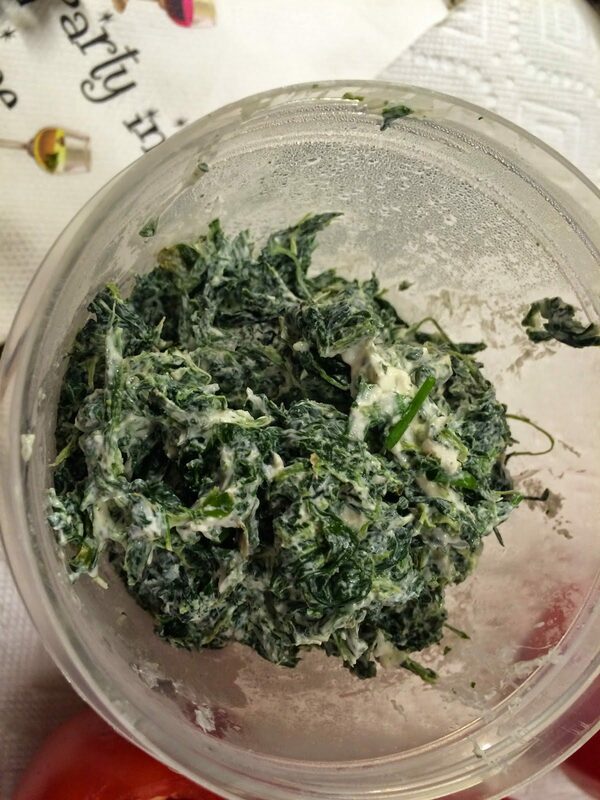 Thaw the spinach and squeeze out excess moisture. 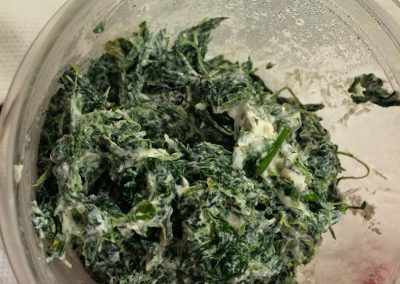 Mix the spinach with the softened cream cheese and chives and garlic salt and pepper (can add a bit of milk to the mixture if it’s too stiff). 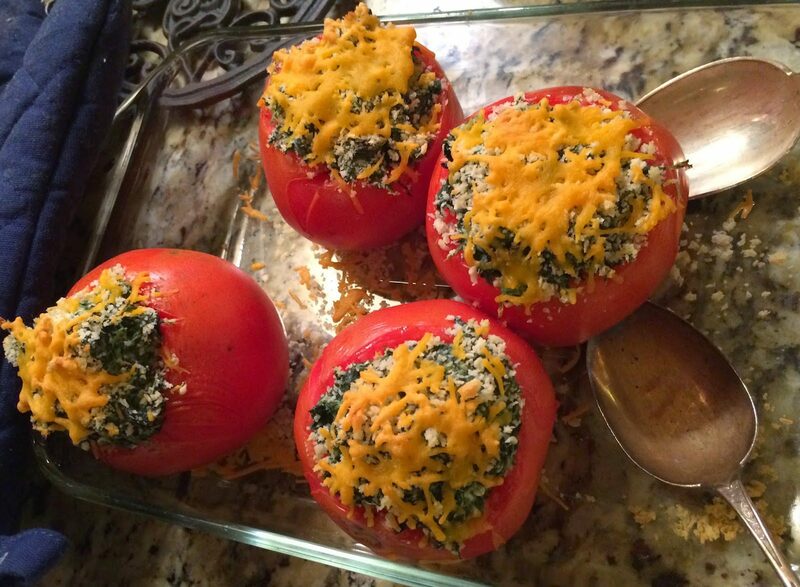 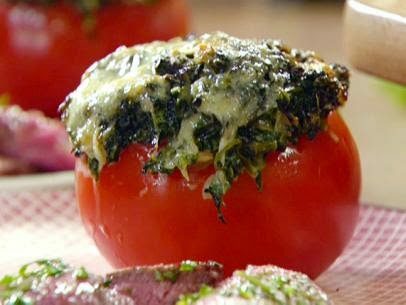 Stuff the tomatoes with the spinach mixture, and top each with panko crumbs and then with the cheese. Bake at 350 degrees F until heated through, about 20 minutes. 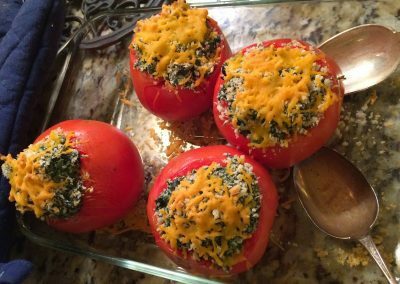 Can be made a day in advance and then heated in the oven.